Eight sports. Seven rebels. One day. It’s no wonder why Idea Rebel calls it “Best Day Ever”. An annual event created by founder, Jamie Garratt is all about how many events can you fit within a 24-hour period. This day consisted of non-stop fun, travelling to some of British Columbia’s beautiful locations, from Whistler, Horseshoe Bay, Sproat Lake and Tofino where the rebels dominated various sports and thrilling events. Starting at 5:45am, the rebels took a few swings at the Whistler Golf Club. It was the perfect way to start for what was about to come. Next up, we changed terrains and headed close by to Whistler Blackcomb to shred some snow as the rebels showed off their best moves on the slopes. Switching our gear for mountain bikes, we hit up Whistler Mountain Bike Park . It was a bumpy ride but we were left unscathed and ready for the next challenge! By noon, we were ready to get our blood pumping and so we went to complete one of our most thrilling activity so far: bungee jumping. Hey, we don’t call ourselves rebels for nothing! We stopped by the famed Whistler Bungee, where we strapped in and took off. Keeping the adrenaline rush going, cliff jumping at Whytecliff Park in Horseshoe Bay was next. If we weren’t awake by this point, the cold water did the trick which made us even more alert and excited for the next activity. If you didn’t know, Jamie is known for skateboarding around the office (and is pretty darn good at it too) so he was in his natural element as the rebels skated later on around the bowls at Horseshoe Bay Skate Park. By evening, we drove over to Sproat Lake to dive into some wakeboarding. The rebels have been participating in WakeDay for many years now, so we had no problem taking our boards to the water to show off a few flips and tricks. 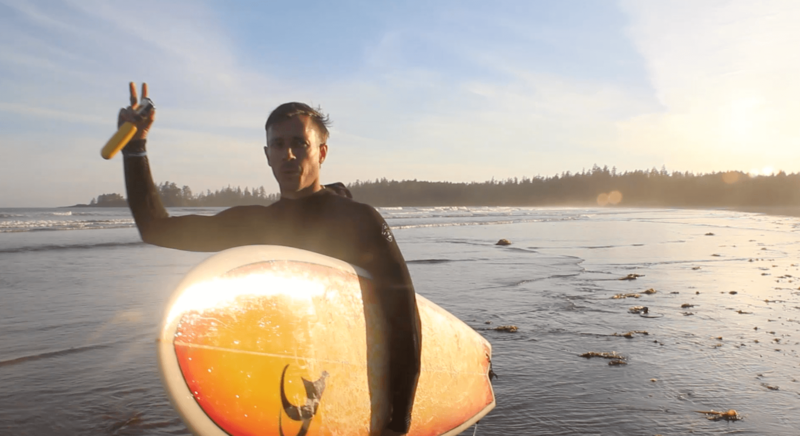 At 8:30pm, it was time for the last event, surfing at Tofino Long Beach. Heading back to our office for the wrap-up party shortly after, we watched the sun rise and concluded our 24-hour adventure. We had an amazing time and can safely say it was the Best Day Ever. Looking forward to the next time!